Parthenonas takes you back in time to the simple Greek lifestyle of the locals. Nothing moves fast in this village. 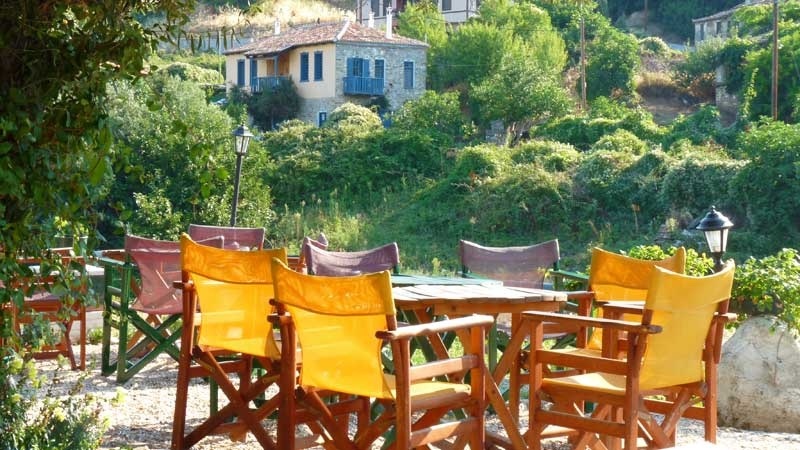 Parthenonas is a quaint historical village located at an elevation of 350 m on the side of the mountain about 6 km outside Neos Marmaras, Sithonia, Halkidiki. Well worth doing as a day hike. Or if you have transportation, you can just go for dinner at a tavern in Parthenonas and get an amazing view of the sea and sunset. There seems to be some debate as to the actual history. Parthenonas was made reference to in the writings of Heroditus, when he talks of a settlement called Parthenopolis, that was in the area of modern Parthenonas. Some years back a sanctuary – possibly of Zeus – was explored and pottery was discovered from the Archaic period (10 century BC), showing evidence of a settlement in this location. The modern village goes back to the days of Ottoman rule and went through periods of habitation and abandonment. By the 1973, when the shipping magnate Yannis Carras started to construct the tourist resort Porto Carras, many moved down to the coast, to Neos Marmaras, for work. Gradually the village was abandoned and transformed into a ghost town. About 20 years later, some foreigners moved into Parthenonas – renovating the old stone houses, making taverns and restaurants, small guesthouses, hotels, and even a museum. 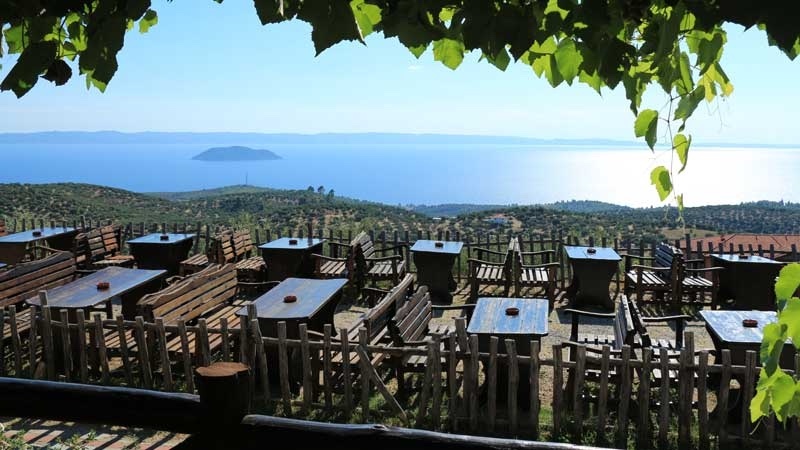 This historical village can easily keep you entertained for a day or more, as you hike up the mount Itamos for a view of Mount Athos to the east and Mount Olympus to the west. 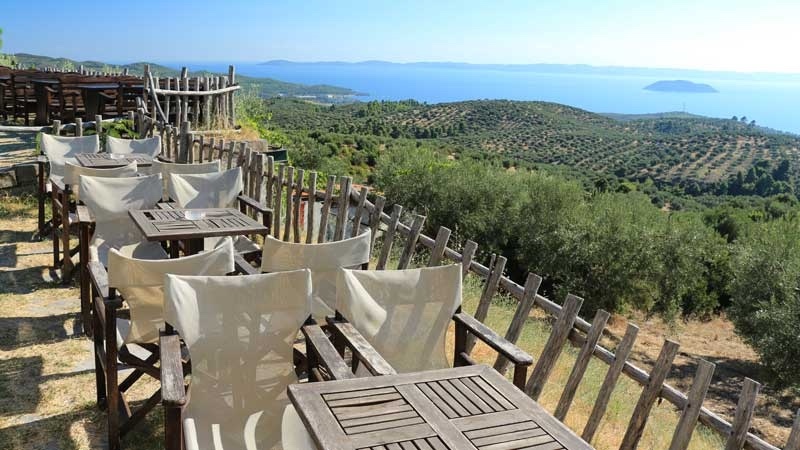 Enjoy the surrounding hiking trails through the olive groves. Take a mountain bike and ride the trails which cross the mountains of Sithonia. 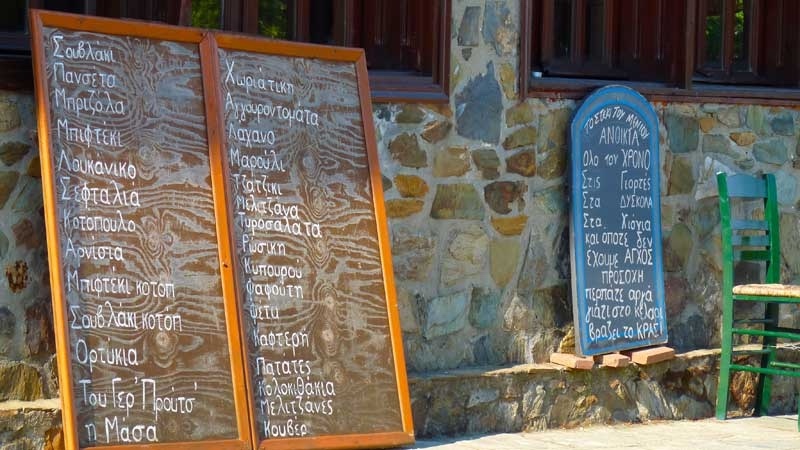 Or just sit and have a lazy afternoon coffee or an ouzo at an outdoor restaurant, overlooking the Gulf of Toroneos with a view of the island Kelyfos. Parthenonas will definitely give you a refreshing change from the beach and is something very special in Sithonia. 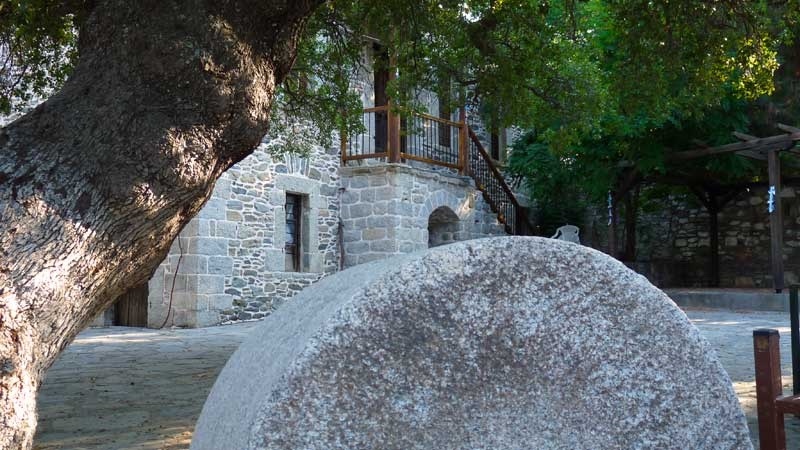 Being an all year destination – you can easily find hotels or apartments here or in the area of Neos Marmaras, Sithonia, Halkidiki.